Working with AWS Identity and Access Management (IAM). 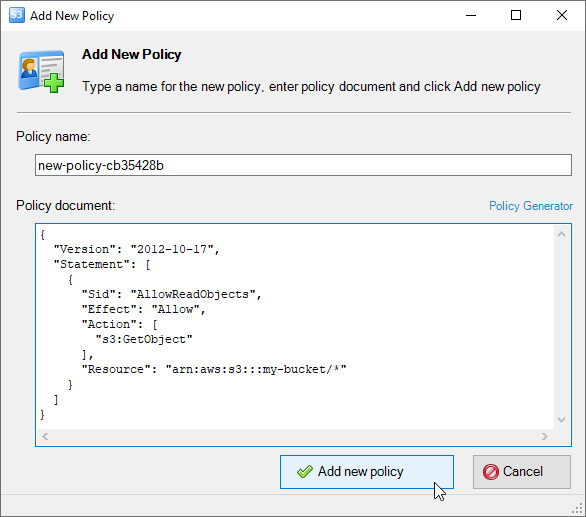 How to create IAM Users and Policies. Access Manager. Working with AWS Identity and Access Management (IAM). New free service from Amazon called AWS Identity and Access Management (IAM) allows you to create Users and manage the permissions for each of these Users within your AWS Account. A User is an identity (within your AWS Account) with unique security credentials that can be used to access AWS Services. 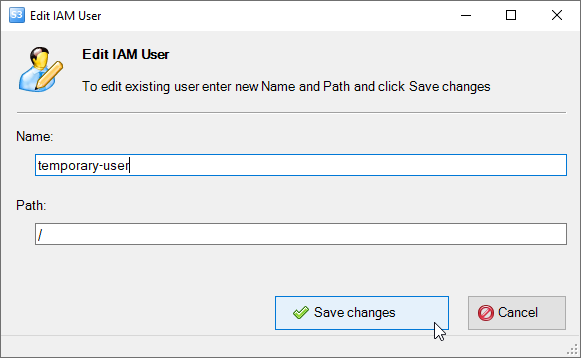 IAM eliminates the need to share passwords or access keys, and makes it easy to enable or disable a User's access as appropriate. IAM offers you greater flexibility, control and security when using AWS. 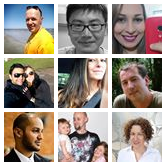 S3 Browser Freeware provides you an easy to use interface to manage your Users, groups, and permissions. 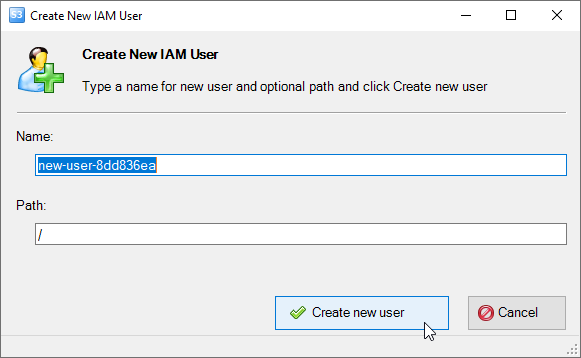 New IAM User will be created as well as Access Key ID and Secret Access Key. New IAM User has been successfully created. Save Access Key ID and Secret Access Key. 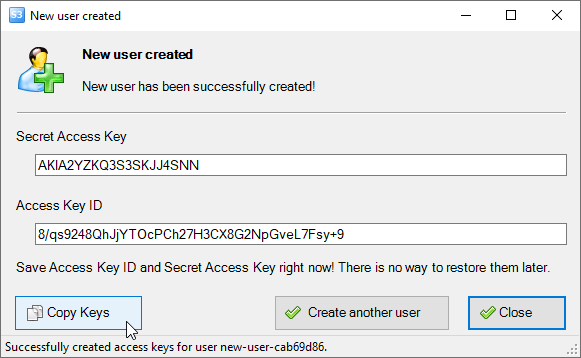 Save Access Key ID and Secret Access Key! For security reasons there is no way to restore them later. Click Copy Keys to copy Access Key ID and Secret Access Key to clipboard. Click Create another user if you want to create more users and Cancel otherwise. 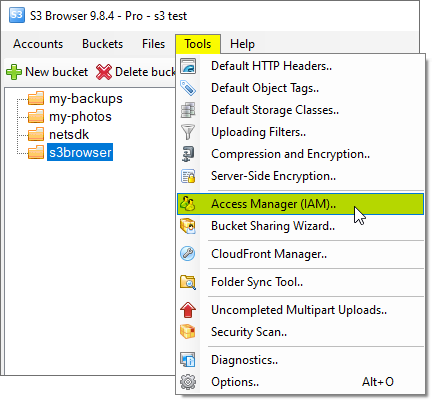 S3 Browser will add new IAM Policy for the selected user. 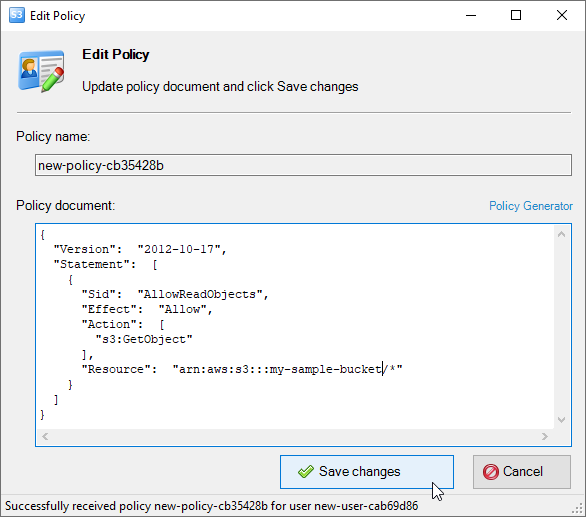 Click the Delete Policy button to delete IAM Policy or Policies.